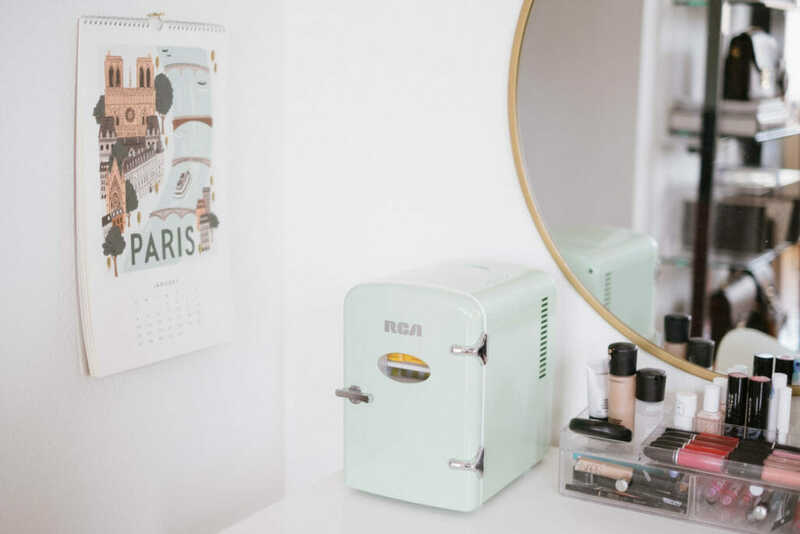 What’s Inside My Retro Mint Green Mini “Beauty Fridge”? 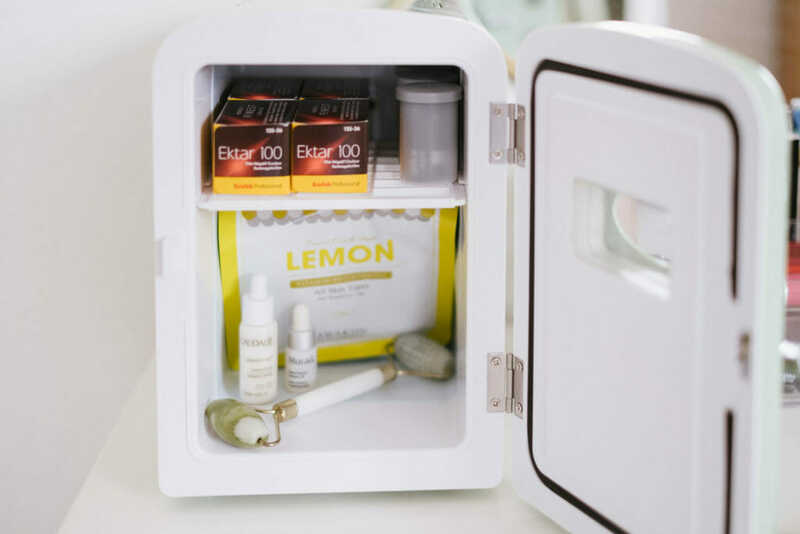 I had no idea how popular the concept of a “beauty fridge” was until I started searching online for something compact in which to store camera film. 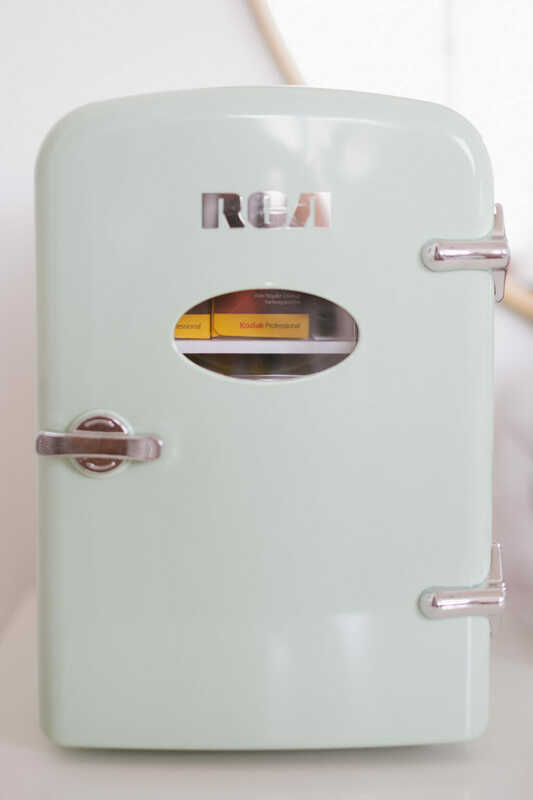 Then I found this adorable mint green mini fridge for less than $60 on Amazon, and it was everything I didn’t know I needed (but probably don’t). This same fridge is currently on sale at Nordstrom Rack for 40% off! Only $29.97! Really wish I had seen that deal before buying it for full price. Oops. 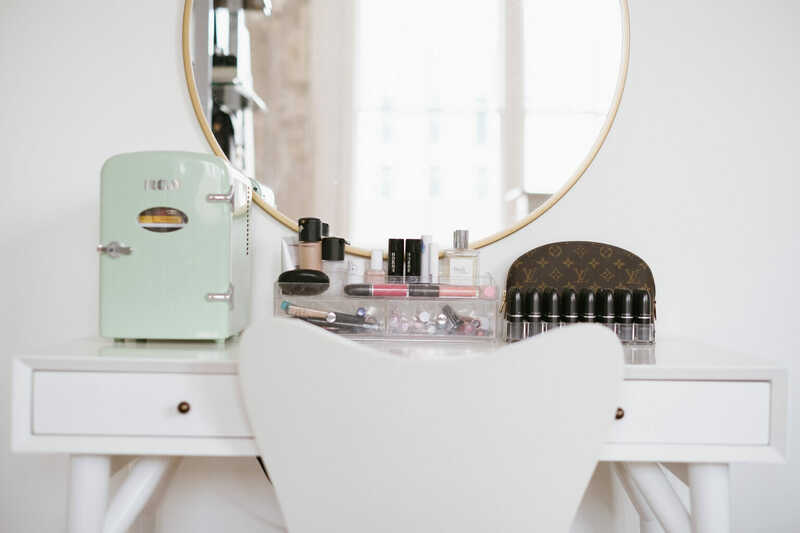 My mom used to keep nail polish in the refrigerator, but it never crossed my mind to buy one for the dedicated purpose of beauty product storage. 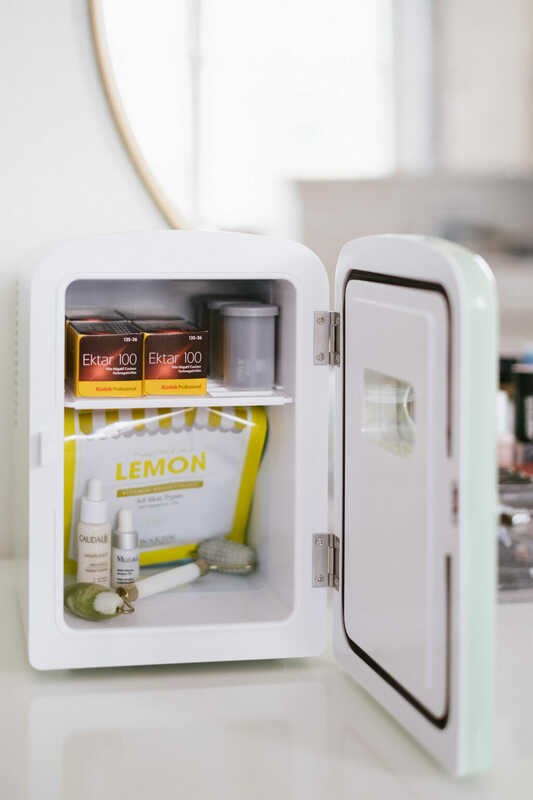 I don’t have a stockpile of expensive skincare items, so the idea does seem frivolous, but I can imagine its value if you splurge on things like La Mer cream or pricey serums. It was actually designed as a beverage cooler and keeps up to 6 cans cold. You could use it as a cooler in a guest room for visitors. For me, it’s a cute way to keep my camera film from degrading, and whatever fun samples I get from beauty subscription boxes. 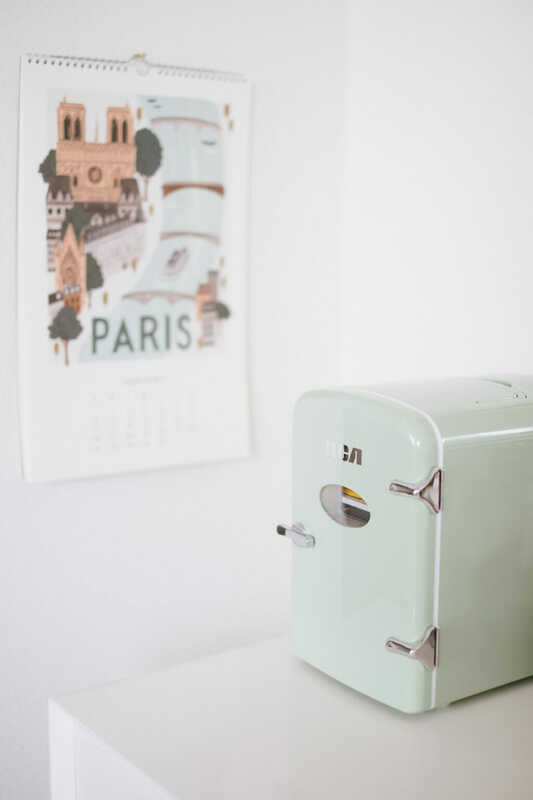 Or a slightly noisy piece of nostalgic home decor! oh goodness – so cute!! koreans and their kawaii adorableness haha.